The BIOS (basic input/output system) is a critical component without which your computer would not be able to run. It is a type of firmware that the processor uses to get everything started when you turn on your computer. When you press the button that powers up your PC, the BIOS kicks in to bring to life all critical components, including the keyboard and monitor. Despite the fact that most people are not even aware of its existence, the BIOS is where computing begins. Another critical function of the BIOS is the management of the flow of data between the Operation System and hardware components. At face value, the BIOS does the same job as the drivers that are needed to keep hardware components on your computer running. After all, they both facilitate communication between the OS and devices such as keyboards and monitors. However, there is a slight difference between the two. 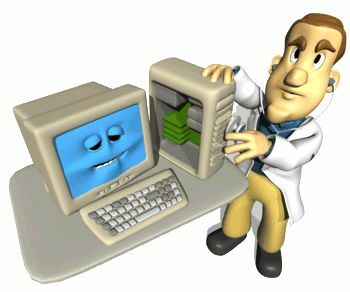 The BIOS is tasked mainly with the initialization of only those components that are needed in order to get your computer up and running. This includes the Hard Drive and the processor. Other devices, such as your modem and USB keyboard, rely on their drivers to communicate with the Operation System. Another thing that you need to consider is that the BIOS only provides for the most basic input and output functionality. However, most of the devices that are connected to a computer go way beyond this. Without the drivers, it would be impossible, therefore, to use these devices. You may have already figured out that drivers play a critical role in the functioning of a computer. In fact, without them, the Operation System that is on your PC would not be able to communicate with items such as keyboards, monitors and other hardware devices. Despite this, most people, surprisingly enough; do not give their PCs’ drivers the attention that they deserve. This can have serious consequences and is often the reason why people encounter problems with the devices that are connected to their computers. In order to keep everything running as it should, we recommend that you use SafeBytes DriverAssist. DriverAssist is a lightweight device driver management utility that is made by SafeBytes, a Microsoft Certified Partner. It is safe to use on your PC and runs in the background to identify all the drivers that are installed, check for the latest updates, download them to your computer and, finally update every driver to the latest version. Your computer’s BIOS comes in the form of a chip that is embedded into the motherboard. It contains the firmware that you need to access the basic functions of your computer. Without the BIOS, your PC would be nothing but a useless piece of plastic and metal. It is what enables all components of your computer to boot up in the ways in which they are supposed to.